Capital spend is growing significantly across multiple industries and it is a crucial factor of financial success to organizations. In our experience working with Fortune 250 companies, they tend to lack a structured process when allocating capital for projects. This challenge has in turn spawned a need for a method in which companies can allocate capital to their strategic priorities. Capital allocation decision makers historically have had to sit around the table and debate about how they should allocate their capital. This debate is often emotional, and the loudest or most powerful person in the room makes the decision. The result is capital allocation decisions that are not strategically aligned with the organization’s values or priorities. 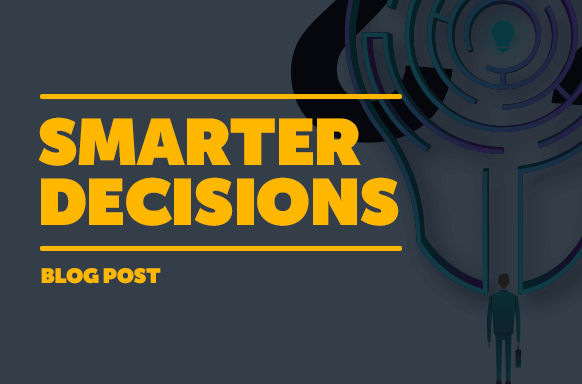 Companies are craving a programmatic decision-making platform for capital allocation that removes the human biases and allows the decision makers to quantify subjective strategic priorities. There is a proven way to confidently make a decision that matches what’s most important to you. It’s called The Allovance Method. The Allovance Method incorporates science into the art of decision making. It follows the natural path that people use to make decisions, first by identifying the decision making criteria then all the way through evaluating alternatives and making the decision by selecting the best alternative. The Allovance Method always leads to selecting the best alternative that is most strategically aligned with the decision maker’s preferences. For capital allocation decisions, the Allovance Method follows a scientifically proven, five step decision making process: Strategize, Compare, Quantify, Score and Select, which you can learn more about here. On June 1, 2017, this five step process came to life in a web based software resulting in true decision making expertise supported by a smart software solution. We are excited to continue changing mindsets through decision-making, coaching and application of innovative tools across the enterprise – from the boardroom to the front lines. Sherif Farghal, president and CEO of Pyramid Consulting International and Founder of Allovance Method, is a dynamic business performance consultant to global corporations. He has over twenty years of experience in management consulting across several industries, including: utilities, construction, manufacturing, communications, and health care. He is passionate about providing both emerging and established companies unmatched decision guidance and support. Sherif is a thought leader and expert in strategic planning and implementation; strategic alignment and capital allocation; and decision making. Prior to founding Pyramid Consulting International, Sherif held leadership roles in other management consulting firms. He has also taught in the graduate program in Construction Management at the University of Michigan. Sherif has a Ph.D. in Civil Engineering, Construction Engineering and Management from the University of Michigan. He also earned a Master’s degree in Construction Engineering and Management from the University of Michigan and a Master’s in Structural Engineering from Alexandria University in Egypt, where he had previously been awarded his Bachelor’s degree in Civil Engineering. In authoring A Methodology for Evaluation and Selection of Construction Projects with Significant Subjective Characteristics, his doctoral dissertation, Sherif developed a groundbreaking method for managerial decision making and strategic planning. This model forms the foundation of several of the proprietary planning methodologies employed by Pyramid Consulting International. One such is the Allovance Method, an integrated decision support system and engagement platform that enables organizations to make critical business decisions quickly and effectively – allowing teams and leaders to move forward with confidence and clarity.